Doc was born July 1, 1935 in Lincoln, Nebraska. The family moved to Estes Park, Colorado and then to Santa Barbara when Doc was in the sixth grade. He attended Dolores Elementary School and Santa Barbara Catholic High School (now Bishop Diego High School). Doc played varsity basketball with his good friends, Lee Beckom and Ed De Ia Torre, under coach Bob Morelli. In their senior year, 1953, the team made the school’s first trip to the C.I.F. finals. That same year, Doc was elected Student-body President and played for the school’s first ever tennis team. 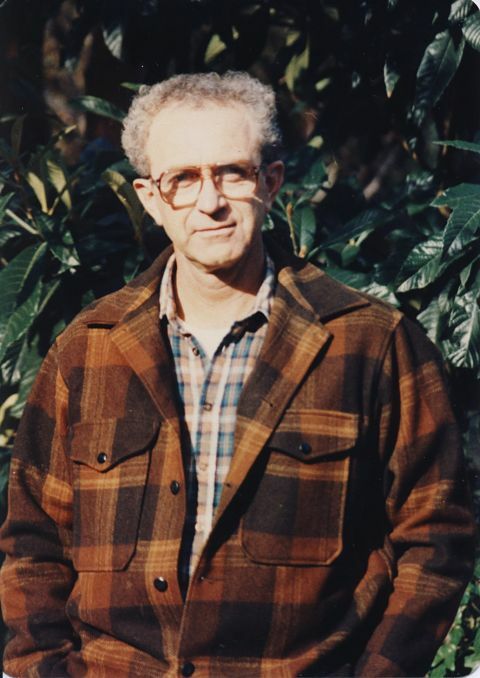 He attended UCSB and graduated in 1957 with degrees in English and Political Science. He received a Masters Degree in Political Science two years later. During both high school and college, Doc worked long hours for Jordana’s, where his mother, Helen, was also employed. Doc Berry died at home in Kaneohe, Hawaii on March 15,2015 at the age of 79. His daughter, Nina, was present and spoke Doc’s favorite passage from Shakespeare, Horatio to Hamlet: “Now cracks a noble heart. Good night sweet prince and flights of angels sing thee to thy rest.” Doc Berry was predeceased by his mother, Helen, his sister, Janet, and older brother, Bruce. He is survived by his beloved daughter Nina, a Punahou graduate and now a successful writer and novelist, residing in the Los Angeles area. We give special thanks to Bill Metzger and to the support team in Hawaii who worked so hard caring for Doc these past few months. They were aided by the kindness of the members of Hospice. A service is planned for Sunday, April 12, 2015, 3 PM, in the Thurston Memorial Chapel on the Punahou School campus. Donations may be made to the Berry Endowed Fund, Punahou School, Advancement Departments, 1601 Punahou Street, Honolulu, Hawaii, 96822.